Organized at Indianapolis, Ind., August 31, 1861. Moved to Paducah, Ky., September 6, and duty there until February 5, 1862. Attached to 5th Brigade, 2nd Division, Army of the Tennessee, February, 1862. 1st Brigade, 3rd Division, Army of the Tennessee, to July, 1862. Helena, Ark., District of East Arkansas, Dept. of Missouri, to December, 1862. 2nd Brigade, 2nd Division, District of Eastern Arkansas, Dept. of the Tennessee, to January, 1863. 3rd Brigade, 12th Division, 13th Army Corps, Army of the Tennessee, to February, 1863. 1st Brigade, 12th Division, 13th Army Corps, to July, 1863. 1st Brigade, 3rd Division, 13th Army Corps, Army of the Tennessee, to August, 1863, and Dept. of the Gulf to June, 1864. 2nd Brigade, 2nd Division, 19th Army Corps, to August, 1864. 2nd Brigade, 2nd Division, 19th Army Corps, Army of the Shenandoah, Middle Military Division, to January, 1865. 2nd Separate Brigade, 8th Army Corps, Middle Department, to July, 1865. SERVICE.--Operations against Forts Henry and Heiman, Tenn., February 2-6, 1862. Investment and capture of Fort Donelson, Tenn., February 12-16. Expedition to Clarksville, Tenn., February 19-21. Expedition toward Purdy and operations about Crump's Landing, Tenn., March 9-14. Battle of Shiloh, Tenn., April 6-7. Advance on and siege of Corinth, Miss., April 29-May 30. Occupation of Corinth and pursuit to Booneville May 30-June 3. March to Memphis, Tenn., June 3-20, and duty there until July 24. Ordered to Helena, Ark., July 24, and duty there until April, 1863. Expedition from Helena to Arkansas Post, Ark., November 16-21, 1862. Expedition from Helena to Grenada, Miss., November 27-December 5. Tallahatchie November 30. Mitchell's Cross Roads December 1. Moved to Milliken's Bend, La., April 14. Movement on Bruinsburg and turning Grand Gulf April 25-30. Battle of Port Gibson May 1. 14-Mile Creek May 12-13. Battle of Champion's Hill May 16. Siege of Vicksburg, Miss., May 18-July 4. Assaults on Vicksburg May 19 and 22. Advance on Jackson, Miss., July 4-10. Siege of Jackson July 10-17. Duty at Vicksburg until August 6. Ordered to New Orleans, La., August 6; thence to Brasher City, and duty there until October. Western Louisiana Campaign October 3-November 30. Bayou Cortableau October 21. Carrion Crow Bayou November 3. Regiment Veteranize January 1, 1864. Veterans on furlough March 4 to May 8. Duty in District of LaFourche and Defenses of New Orleans, La., until May. At New Orleans, La., until July 19. Ordered to Washington, D. C., July 19. Sheridan's Shenandoah Valley Campaign August 7-November 28. Battle of Opequan, Winchester, September 19. Fisher's Hill September 22. Woodstock September 23. Mt. Jackson September 23-24. 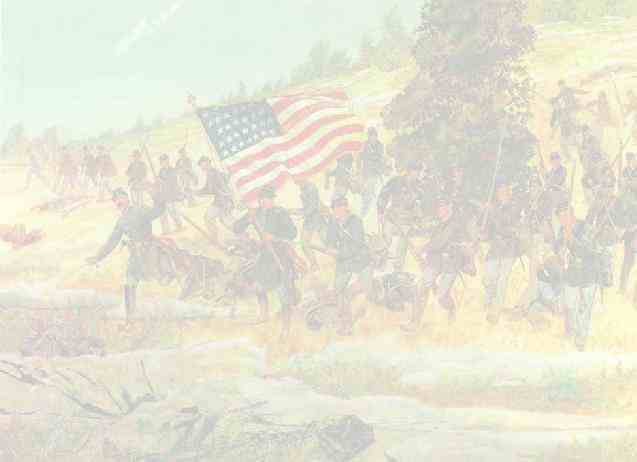 Battle of Cedar Creek October 19. Duty in the Shenandoah Valley until January, 1865. Duty at Fort Marshall, Baltimore, Md., January 7 to July 26, 1865. Mustered out July 26, 1865. Regiment lost during service 1 Officer and 114 Enlisted men killed and mortally wounded and 3 Officers and 170 Enlisted men by disease. Total 288.